This page has my research projects from when I was a PhD student here in the Computer Science Department at Brandeis University. Since finishing my Ph.D. (summer '02) I have moved to the West Coast and I now work for U.C. Santa Cruz as a contractor at NASA Ames Research Centre at Moffett Field, California. At NASA I am part of the Adaptive Control and Evolvable Systems Group, where I have a web page of my NASA work and I also have my own iDesign Lab. 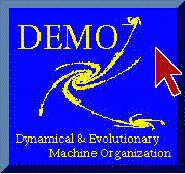 I am continuing my work in evolutionary design and artificially intelligent systems. My research interests are towards creating intelligent creatures (robots or software agents) and improving scalability in automated design. Recent research in evolutionary computation has demonstrated the ability for automatic design of engineering products. Despite these results, it is not clear if stochastic search algorithms based on random variations can reach the high complexities necessary for practical design projects. The ultimate success of search algorithms as tools for design automation is critically dependent on their scaling properties. Any open-ended design problem that is based only on the direct composition of elementary building blocks grows combinatorially complex with the size of the problem. Consequently, search algorithms that encode designs directly will quickly become exponentially intractable, and not scale to complex tasks. To overcome the exponential growth in the search space, search algorithms must use a generative encoding to scale to large problems. 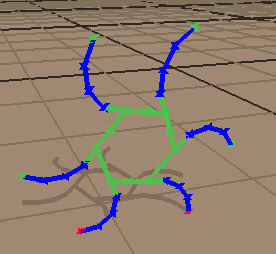 In contrast to a direct encoding, which contains only basic design components, a generative encoding is an algorithm for creating a design. That is, the data being optimized by the search algorithm is itself a kind of program containing rules and program-like instructions for generating a design. 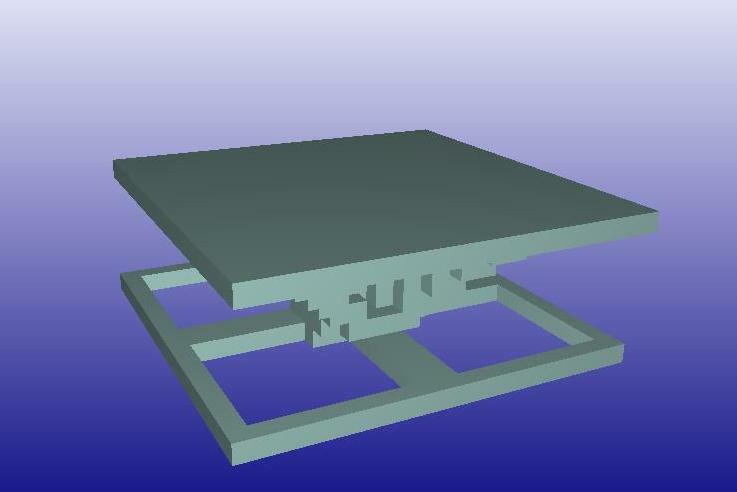 In this project we evolve tables and locomoting robots (genobots). A trend in robotics is towards legged robots. One of the issues with legged robots is the development of gaits. Typically gaits are developed manually. In this project we report our results of autonomous evolution of dynamic gaits for the Sony Quadruped Robot. Fitness is determined using the robot's digital camera and infrared sensors. Evolved gaits are faster than those created by hand. 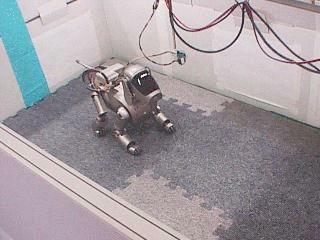 Using this technique we evolve a gait used in the consumer version of AIBO. This project addresses the problem of creating neural controllers for robots. 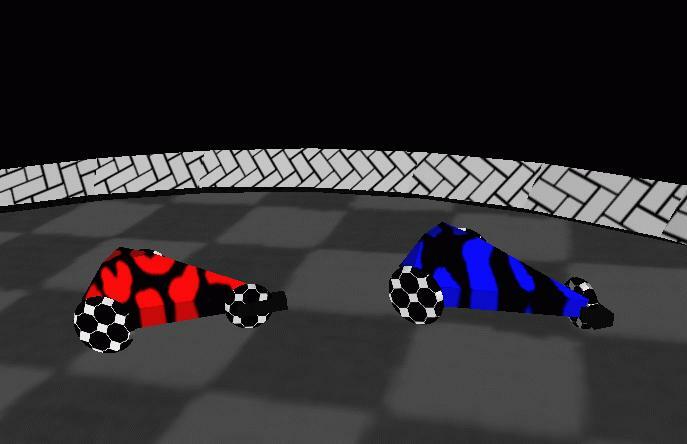 The first part of this project involved developing controllers for simple robots to perform a simple task - pole balancing and Luxo locomotion. In the second part we move to more complex robots performing the more complex task of pursuit and evasion. Finally we show that we can evolve controllers in simulation that transfer to complex robots, such as AIBO. First I should mention what my thesis is. It is not uncommon for people to implement a GA on a parallel machine. Usually the performance of these parallel implementations are comparable with a simple, sequential GA. Sometimes the parallel GA will achieve super-linear speedup. I am investigating whether imposing a structure on the population can improve the performance of a GA on some classes of functions.